With maintenance, some hazards in the warehouse are formed as a result of the nature of the work since it is a high-risk activity. Maintenance workers are more likely than other employees to be exposed to various hazards. Warehouse maintenance poses specific hazards and risks to those working alongside a running process and in close contact with machinery. During normal operation, automation typically diminishes the likelihood of human error that can lead to accidents. In maintenance activities, contrary to normal operation in a warehouse, direct contact between the worker and machine cannot be reduced substantially and poses a greater risk of human error. This, in turn, increases the accident risk because maintenance is an activity where the workers need to be in close contact with processes. Warehouse maintenance often involves unusual work, non-routine tasks and it is often performed in exceptional conditions, such as working in confined spaces. Maintenance in a warehouse involves changing tasks and working environment. This is especially true in case of contract workers. Subcontracting is an aggravating factor in terms of safety and health - numerous accidents and incidents relate to subcontracting maintenance. 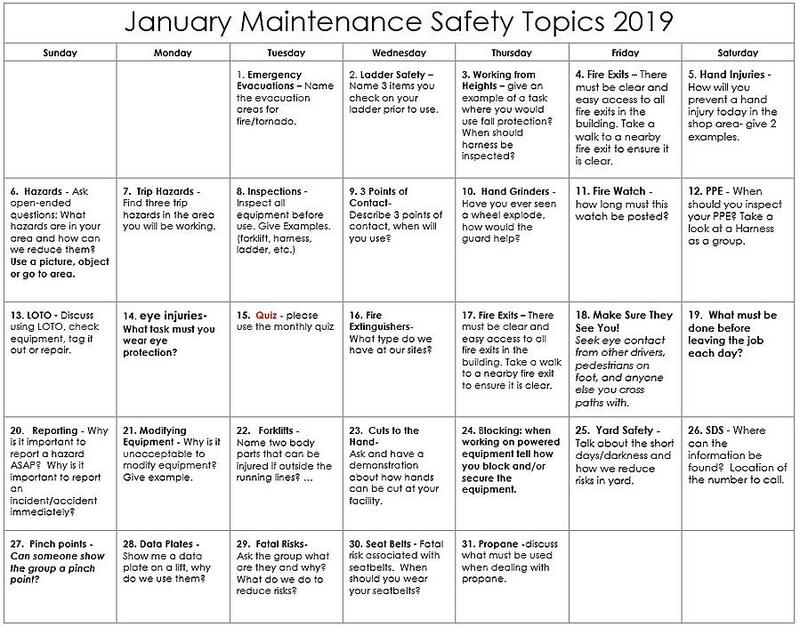 Since maintenance safety in warehouses is a big factor in decreasing risks in the workplace, we have created the following safety calendar that will help guide you through daily safety discussions with your employees. 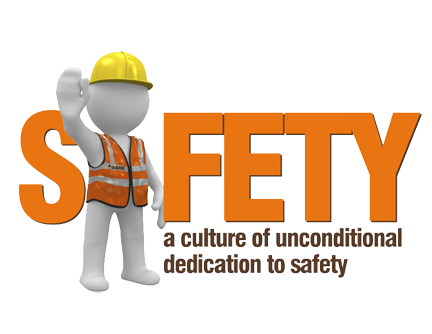 Feel free to use this calendar and our other calendars to operate a safer work environment.